One of the major attacks on Obama from the right was that they never captured those responsible for Benghazi–never mind how many people responsible for embassy attacks under Reagan and Bush were never apprehended, or that it was Obama that got bin Laden years after Bush let him escape at Tora Bora. Now one of those responsible for Benghazi has been captured. You might think that even Republicans would find this to be reason to celebrate, but instead many did what the usually do and twist anything into a way to attack Obama. Fox claims this was done to boost Hillary Clinton’s book tour and presidential prospects. Allen West calls this “Orwellian message control” to distract the populace from other problems. 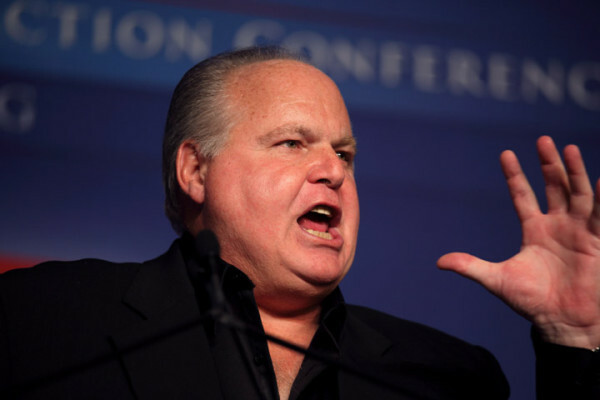 On talk radio Rush Limbaugh and Joe Walsh are among those who join Fox in questioning the timing. Steve Benen, Bob Cesca, and Caitlin MacNeal have more conservative reaction. I imagine next they will threaten impeachment because Obama didn’t inform Congress before he acted. This should really come as no surprise. The conservative movement is packed with people who will do anything for political gain, regardless of how much it harms the country. Attacking Obama is now their number one goal, but it didn’t start with Obama. They played politics with the 9/11 attack, and used it to justify both the war in Iraq and infringements on civil liberties. More recently they have played politics with the deaths of Americans in Benghazi. These are also the people who have fought to hinder economic recovery after their policies crashed the economy, and caused a lowering of our credit rating while playing politics over the debt ceiling. It doesn’t matter what your ideology is, you should feel good about this. There’s no conspiracy here, this is actual news. But the reaction of some of the Republicans, I’ve been told, is to downplay and insult the brave men and women of our special forces and the FBI. They’re trying to say, oh, it’s no big deal. I wonder if the men and women who captured the terrorist agree. But the Republicans said it’s no big deal. Even in these days of polarization, created by the obstruction, the delay, and diversion of the Republicans, even in these days of polarization, their reaction is shocking and disgusting. They’re so obsessed with criticism, criticizing anything President Obama does. They’ll go so far as to sit here and insult the men and women in uniform and in law enforcement. They should stop and think, just for a little bit, about what it’s like to put your life on the line and to do something for our country — that’s what they did. They’re insulting these good men and women who did some courageous things, heroic things, in order to criticize President Obama. I think they’ve lost touch with reality; it’s really pathetic, there’s no other word for it. Posted in Barack Obama, Harry Reid, Hillary Clinton, Iraq, Republicans, Terrorism. Tags: Barack Obama, Benghazi, Deficit, George Bush, Harry Reid, Hillary Clinton, Iraq, Libya, Osama bin Laden, Rush Limbaugh. RSS feed for comments on this post.. TrackBack URL. Well, I have a fair sample of American Right-wing news sites and none of them have offered the slightest criticism with the exception of National Review which criticised the decision to give the man a free publicity platform by trying him in a civil court, and The American Thinker pointing out that it took the administration two years to capture a man who gave several one-on-one interviews to enterprising reporters! I imagine it is a good thing that the right wing blogs you read are less likely to be among the sites attacking Obama over this capture. Trying people in court is what is done in a country based upon rule of law. This is one of the ways in which we are trying to get away from the criminality of the Bush administration. It is far different for a journalist who someone wants to speak with to be allowed close than it is for those trying to apprehend him. You mean it’s beyond the wit of your CIA to work up a hoax interview?! I mean, the man was interviewed in a public café – and, amongst others, by ‘Faarx Noos’, no less! Or is that the CIA’s political masters were keen not to be embarrassed given their original lies concerning the real reason behind the murderous attack? There is a huge difference between someone giving an interview to a known journalist versus a fake CIA journalist. CIA lies? I take it that you are going to stick with the right wing conspiracy theories regardless of how many times they fail to hold up in investigations and hearings.